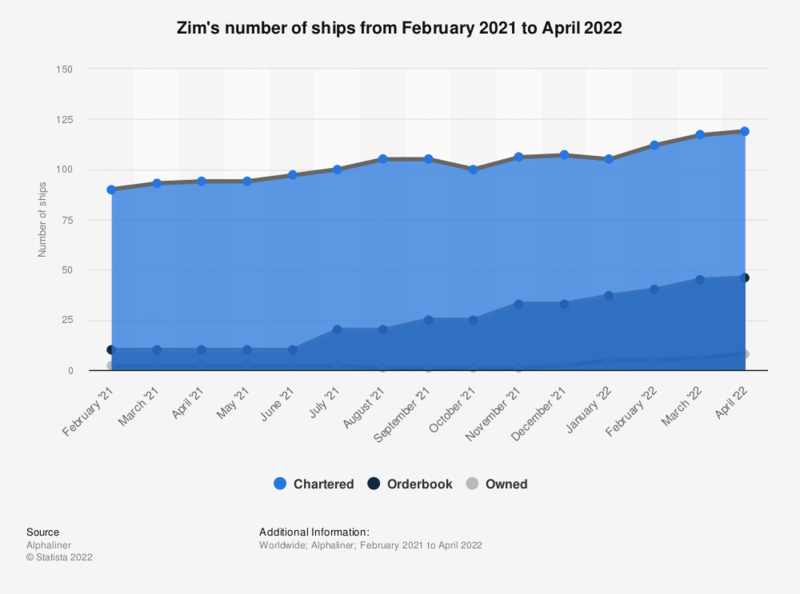 This statistic represents the number of Zim ships as of March 27, 2019. The company had no ships in its order book as of March 2019. Zim Integrated Shipping Services Ltd. is Israel's largest cargo shipping company.